The collections of the National Museums of Scotland (NMS) were built up over more than two centuries. 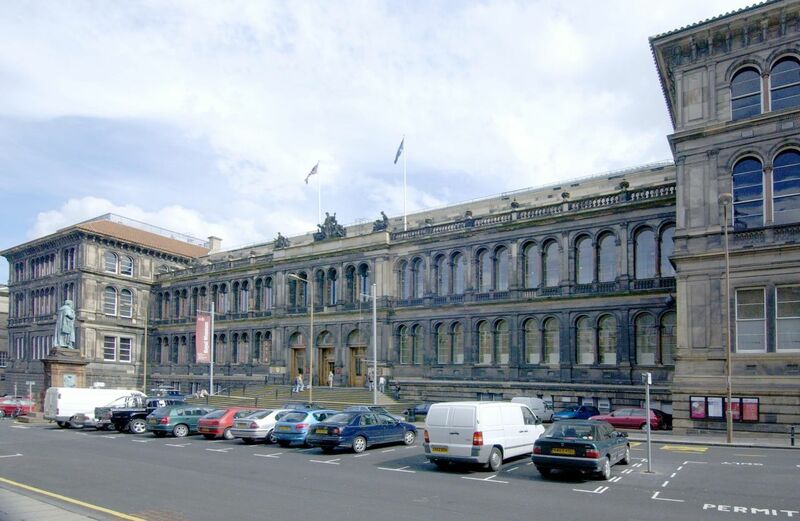 Initially they were cared for by two separate institutions, the National Museum of Antiquities of Scotland, with its origins in the foundation in 1780 of the Society of Antiquaries of Scotland, and the Royal Scottish Museum, founded in 1854 as the Industrial Museum of Scotland. In 1985 these two organizations were amalgamated to form the National Museums of Scotland. Today, the NMS function on seven sites. 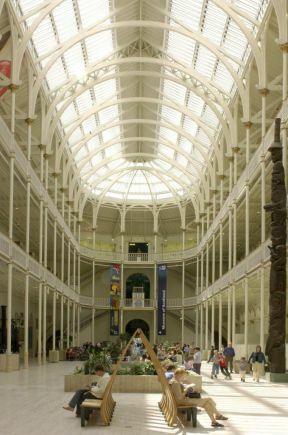 Within Edinburgh the NMS incorporate the Royal Museum, the Museum of Scotland, the National War Museum, and the Granton Centre, a research, storage and conservation facility. Further afield lie the Museum of Flight, Shambellie House Museum of Costume and the Museum of Scottish Country Life. 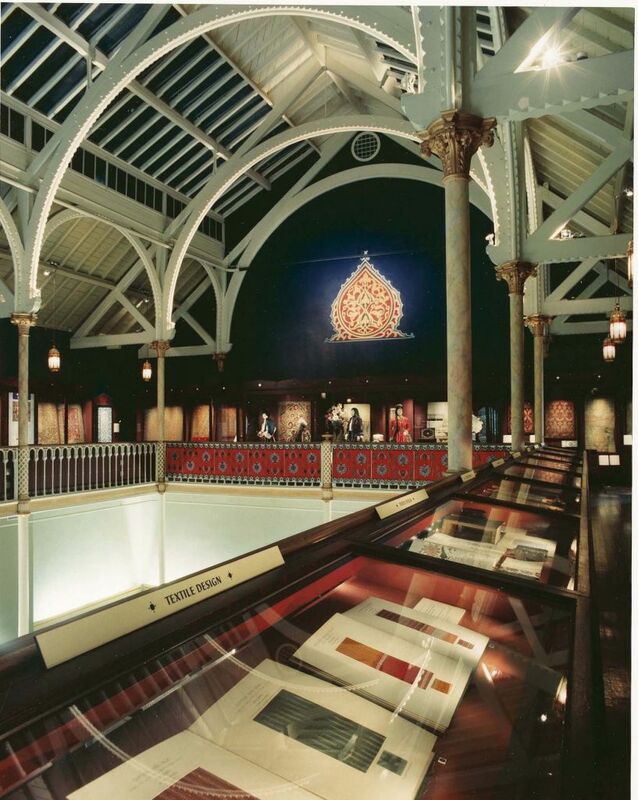 The collections from the Muslim world are housed largely in the Royal Museum. Begun in 1854 they are now perhaps the most comprehensive outside London with ca. 5,000 art-historical and ethnographic pieces of national or international importance, acquired through donation, bequest, purchase and fieldwork. The collections, which date from the 9th to the 20th centuries, comprise ceramics, tiles, glass, metalwork, arms and armour, musical instruments, paintings, lacquer, textiles, carpets, dress, jewellery and coins from North Africa, Egypt, the Arabian Peninsula, Syria, Turkey, Iran, Afghanistan and Central Asia. The Iranian collections are particularly strong owing to Major General Sir Robert Murdoch Smith KCMG (1885–1900) who became Director of the museum in 1885 after a career with the Indo-European Telegraph Department in Persia. He collected a range of artefacts for the museum, dating between the 16th and 19th centuries. Turkey is also particularly well represented with, among others, an excellent collection of Iznik ceramics, an important group of early Ottoman garment fragments and a significant assemblage of 20th-century ethnographic material from central and southeastern Turkey.